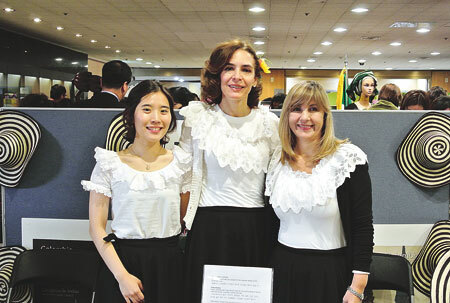 On its 50th anniversary year, Seoul International Women’s Association changed its annual bazaar venue to the Seoul History Museum in downtown Seoul. “The Seoul Metropolitan Government has helped us” getting the venue at free of charge, said Terry Hartman, president of the association also known as SIWA, told the Korea Times at the bazaar on Tuesday. For years, Seoul Grand Hilton in northwestern part of the town has been a venue. It was spacious, but visitors had to go through a hassle of getting there because of its remote location. And the visitors had to pay to enter. 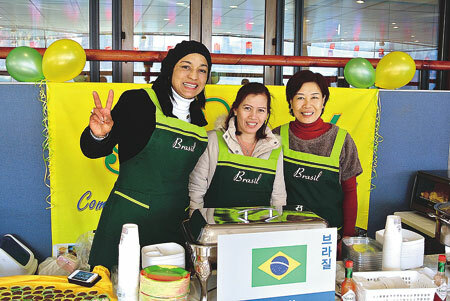 Three women from the Brazilian community in Seoul at the food court pose for a photo. The new location was less spacious, which made venues from 30 something participating groups scatter through in the back of the lobby and on the second floor, but it didn’t diminish an end-of-the-year shopping atmosphere. The usual items were there — from clothes, jewelries, arts, folk art and crafts from participating embassies, to chocolates and different kinds of authentic food. But to some expats, it was a poor representation of what it used to be. Zofia Majka, left, wife of the Polish Ambassador Krzysztof Majka, shows a bracelet to a visitor at the Polish booth. “I’ve been going to these for a few years. Every nation used to be represented. A lot of expats used to go there to buy food. For example, the British Embassy volunteers sold stuff that you can’t get in Korea. Whereas this year the British Embassy among others, wasn’t even there,” an expat named John said. Organizers tried to take advantage of the location by disseminating fliers attracting lunch crowds from the office-filled neighborhood. 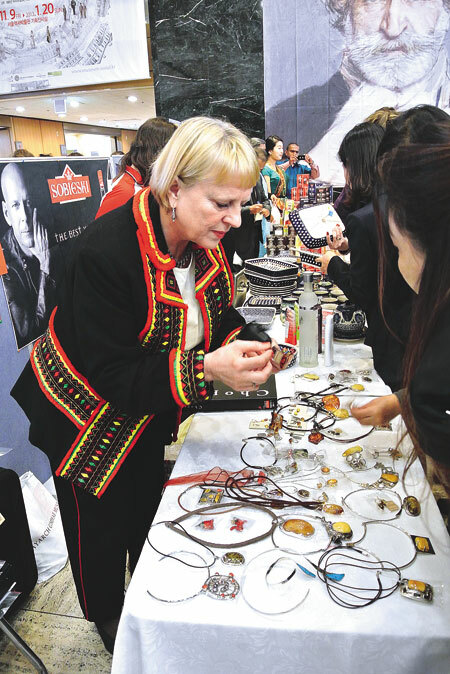 The Polish ambassador’s wife Zofia Majka, a first-time participant, had a selection of jewelry, porcelain dishes and pots and a painting done byKrzysztof Recko-Rapsa, a Polish painter who recently had an exhibition in Seoul, on her booth. 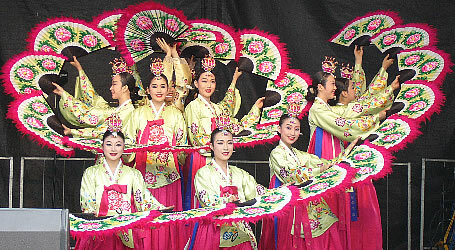 The annual bazaar’s proceeds benefit more than 30 charities throughout Korea. Some were invited to the bazaar to sell goods for themselves.